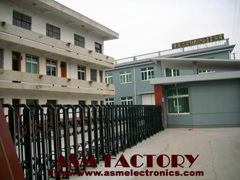 company profile of Ningbo ASM Electronics Co., Ltd. 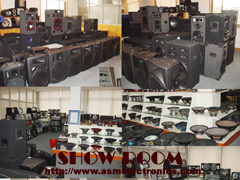 Established in 2001, Ningbo ASM Pro & Car Audio Speakers manufacturer, has become one of the largest companies specialized in Subwoofer, Car speakers, Ceiling speakers, Boom box, professional sound systems, and other audio accessories. 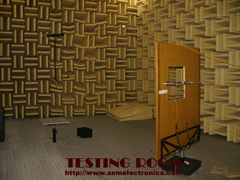 As an audio equipment manufacturer with an area of 1500sq.m.,6 production lines(2 lines for car audio systems, 2 lines for professional audio systems, 2 lines for relevant audio accessories), over 100 employees, and the certificate of ISO9001:2000 system, we still keeps specialized in R&D, sales, and OEM/ODM services. 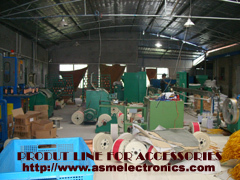 80-95% of our products export to overseas markets, such as the United states, Europe, Middle-east, and South America etc. 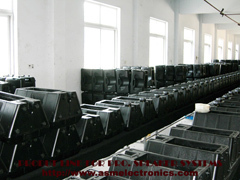 The past 8 years was a glorious time for ASM, but ASM will certainly makes greater achievements in the future international market competition. ASM promises to offer his best services to his customers forever.